Given your busy schedule, it can be difficult to find time for looking after your health. 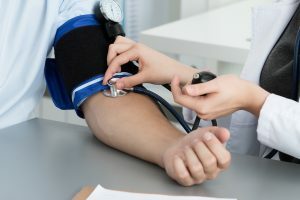 An annual physical exam may seem unimportant in the larger scheme of things, but the truth is, it’s one of the most critical things you can do to ensure your long-term health and wellness. Why should you have a yearly physical exam? For a variety of reasons. Your overall health is assessed at your annual exam. Depending upon your personal and family medical history, tests may include screenings for blood pressure, cholesterol, blood glucose, and osteopo rosis. Specialized tests may include cancer screenings for patients with a history of cancer in their families, heart disease screenings, and more. An annual physical gives your doctor a baseline to work from when discussing your medical history and watching for changes in the way your body works. Annual physical exams are focused on your ongoing health, making this the perfect time to discuss any concerns you may have with your doctor. Smoking cessation, diet, and fitness can be addressed at these appointments. By touching base with your doctor at your annual appointment, you can keep up to date on the latest information and news that pertain to your time of life and personal health. It also gives your doctor an opportunity to make recommendations for stage-of-life lifestyle choices like increasing your exercise as you leave your 20s to maintain a healthy weight. If you’re on medication for chronic conditions, take birth control, or even take over the counter medications regularly, it’s important that your doctor monitors your condition, to ensure the medication you’re taking is still appropriate. Dosages may need adjustment, or you may be experiencing side effects. These are issues that your doctor can address and discuss at your annual physical. Call AlphaCare to schedule your exam today.